COME HOME TO SUMMERVIEW AND THIS AMAZING HOME THAT'S COMPLETED AND READY FOR MOVE IN!! 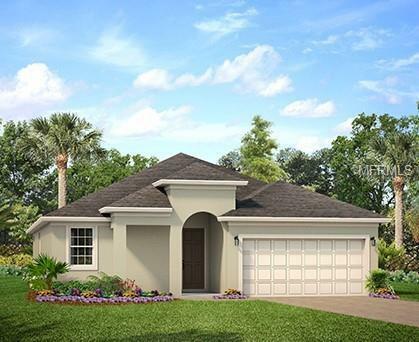 Fabulous Margate II single story home that features an open floorplan with plenty of natural light. This 3/2 split floorplan with den, is one of our most popular homes! As you enter the foyer, you'll notice the tile flooring that runs throughout the home and adds an element of sophistication along with easy maintenance. The kitchen includes an oversized island with granite countertops, stainless undermount sink, 42' Timberlake maple cabinets, large walk-in pantry and built-in wine bar. The spacious owners retreat features 2 walk-in closets, a spa-like bath with dual sinks, granite counters, and large walk-in shower with easy to maintain, upgraded tile shower surround and bench seat. Enjoy a cup of coffee or cool beverage while relaxing on your oversized screened-in back lanai that offers tons of privacy. Summerview is close to shopping, restaurants and the quaint and picturesque town of Mount Dora! Once you've been to Mount Dora, you feel like you're home. One of Florida's best kept secrets!! Summerview is within minutes to the new 429 Turnpike that makes it a quick commute to all that Orlando offers, including the theme parks, Orlando International Airport and the famous Florida Beaches!